It was definitely beautiful but certainly not as laid back as I thought it would be, may be it was just timing. Firstly, on a normal day there is a direct train from London to Windermere that's roughly 3 hours and a bit. For us it took more than 6 hours due to engineering works. Secondly, it was the Easter weekend, the first big holiday after winter. Thirdly, it was supposed to be raining but in the last minute the weather turned and it was brilliant sunny weekend bringing in a lot of unplanned holiday makers from an hour away. Any case, we thought the same and woke up at 11 thinking if it rains too much we won't make the effort. But it was looking al right so we left at 2. A tube ride and three train rides later we reached Windermere. It was already dark and it took us a while to get to our B&B so that was that. Our B&B was a small cute family run place like most B&Bs are. Ross, who runs it, was extremely helpful and he is as local as anyone can get. 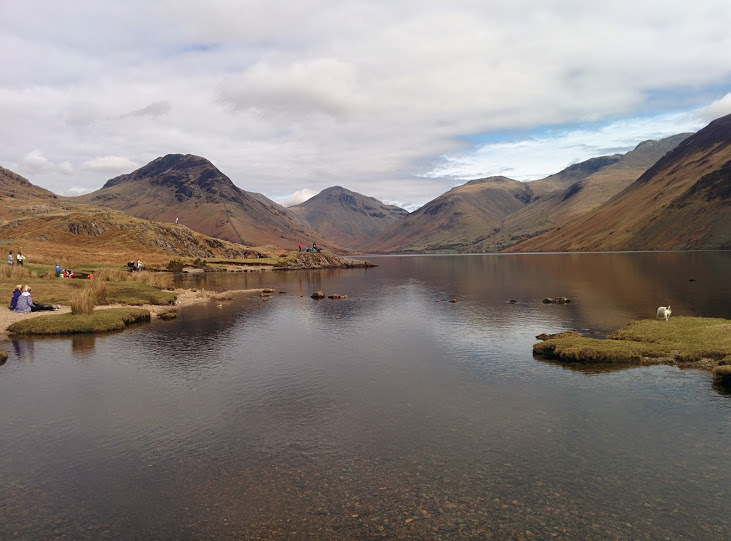 Since we don't drive and you really need to if you want to see the highlands, we were considering taking a day tour around the Lake District. Ross suggested we take "the high adventure" tour rather than the "ten lakes spectacular" tour (both by mountain goat tours. That was great advice. The high adventure tour is not really adventurous or anything but Ann (our driver and guide) took us to a few different places and we had time to walk about as well. She knew the roads in and out (which I think is really important given the highlands can have dangerously steep roads). We were lucky weather wise and it such a clear bright day that at Hardknott pass we could see across the sea to the Isle of Man. 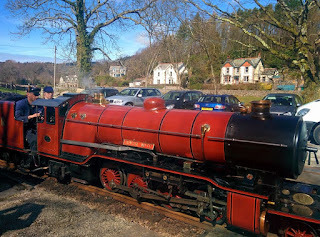 We also too the heritage railway La'al Ratty at Eskdale valley. The next day, we were planning on taking some cycles to go around the little towns. Ross recommended taking electric bikes instead. The highlands are too steep. So we called someone who said we don't need to book but when we arrived there we were told they had run out. After many attempts, we just got normal cycles. But then again it was really hard so we pretty much ditched them. We took a bus instead, to Grasmere. It's a really nice bus actually - a double decker with an open top and commentary about places as we pass by them. It's not a tourist bus but they have modified it for the summer. 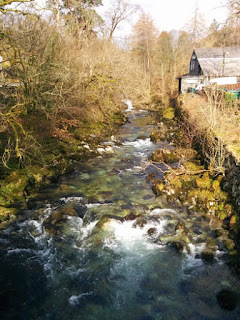 And from the top you can drive through the pretty little villages to Grasmere, barely 8 miles from Windermere. 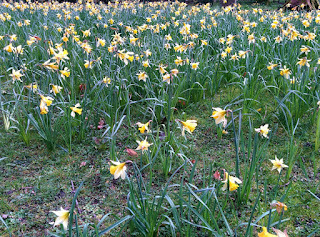 We went there in the perfect spring to see daffodils everywhere, some tended to and some wild. 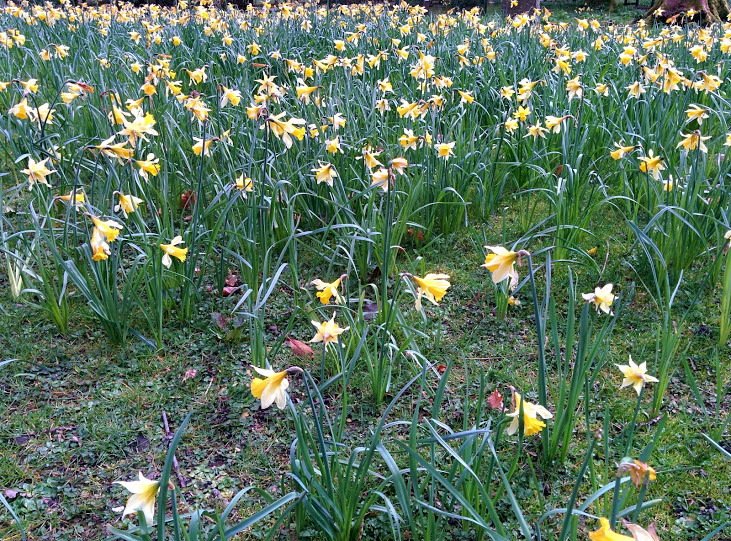 These were the highlands where Wordsworth fell in love with the daffodils. 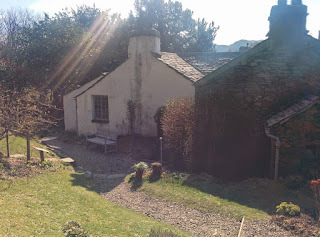 We visited the Wordsworth cottage - a tiny little remodelled pub. 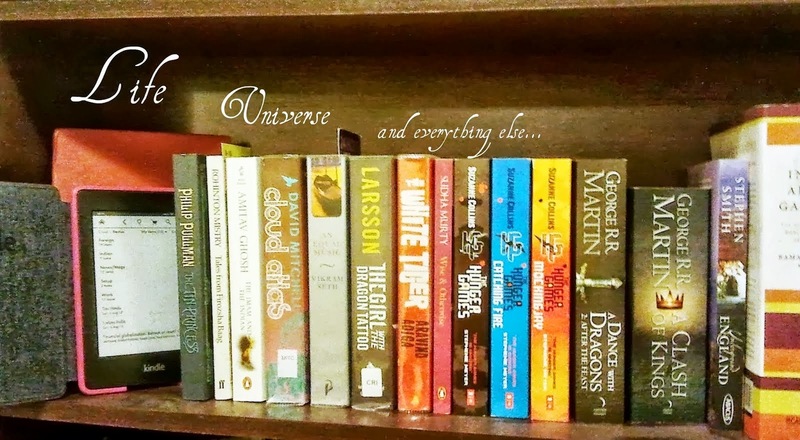 The stories are inspiring of the number of poets that visited the little house. There was also the Grasmere ginger bread shop where everyone was buying ginger bread. We bought it too and after 6 weeks is still lying at home. It's too sweet. We came back to Windermere. There we took a circular cruise of Lake Windermere. It is truly pretty. The next morning we woke up, had a lazy breakfast, checked out and caught a train at 10.30. We reached London and home around 5.30. We obviously had to change trains but we were also showed down by 'unforseen' circumstances. But Virgin trains said we could get a refund. We did. So there goes are underutilised Easter weekend. To be fair, Lake District was beautiful and we got to see quite a bit of it. 15 days after this trip, we were heading to Tenerife in the canary islands (that I blogged about already). Such contrasting holidays!